My trusty cage (VW Passat) finally gave up on me. Timing belt, cam chain tensioner and related bits. Had the funny feeling that I may have to find a reliable replacement to carry me during the rainy months. Had the VW fix but have taken her back to the mechanic a couple of times for other related issues. May have to put her out to pasture. Got me a Mazda RX8 Grand Touring. Can’t wait to take this out to the twisties in our area. May take a course at our neighborhood track http://harrishillroad.com/ to keep me out of public road trouble. 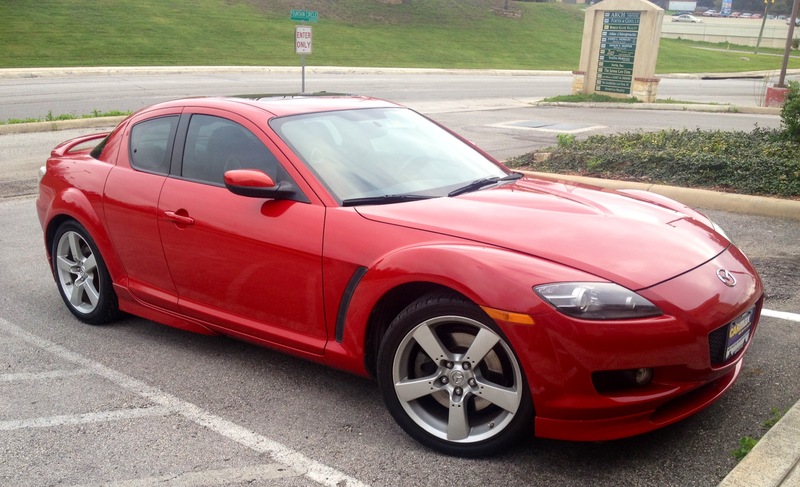 This entry was posted in Sports Car Touring and tagged RX8, Sports Car, touring. Bookmark the permalink.